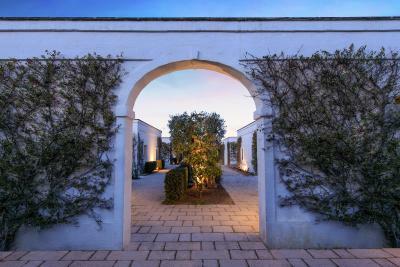 Lock in a great price for Rocco Forte Masseria Torre Maizza – rated 9.3 by recent guests! The property was spectacular and the staff was very friendly! The breakfast was overwhelming and the dinners were delicious. 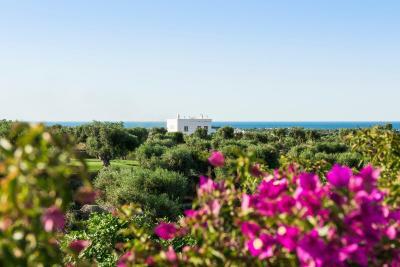 Rocco Forte Masseria Torre Maizza This rating is a reflection of how the property compares to the industry standard when it comes to price, facilities and services available. It's based on a self-evaluation by the property. Use this rating to help choose your stay! 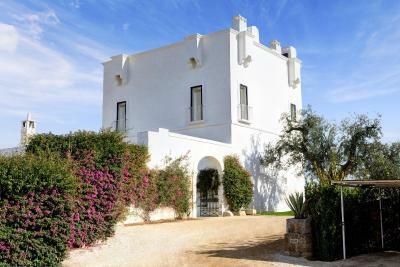 Masseria Torre Maizza is set in a large estate in the area of Savelletri di Fasano. The property offers a stylish restaurant, a pool bar and a rooftop bar, as well as a 50 feet pool and a private beach club. A spa and a 9-hole golf course are also available. 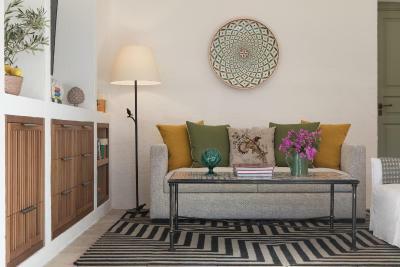 Rooms and suites are all spacious, and are furnished by local artisans. 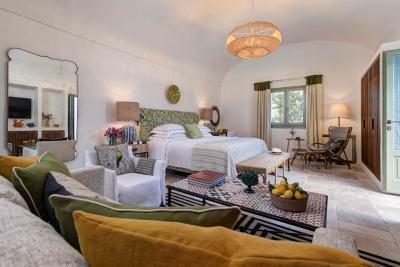 Each room and suite has its own private garden and views of the Apulian countryside. Masseria Torre Maizza’s bar and restaurant offer fine Italian dining. You can enjoy your meal made using local Puglian ingredients in the garden pergola. The rooftop bar serves expertly crafted cocktails against scenic backdrops. Masseria Torre Maizza is a 40-minute drive from Brindisi Airport, and Bari Airport is a 50-minute drive away. The concierge is happy to shares tips on what to visit in the surrounding area. This property also has one of the top-rated locations in Savelletri di Fasano! Guests are happier about it compared to other properties in the area. When would you like to stay at Rocco Forte Masseria Torre Maizza? These rooms feature traditional Apulian farmhouse architecture, with whitewashed limestone, arched ceilings and hand painted furniture. There is even a small table where you can have breakfast. Extra bed is not available in this room. 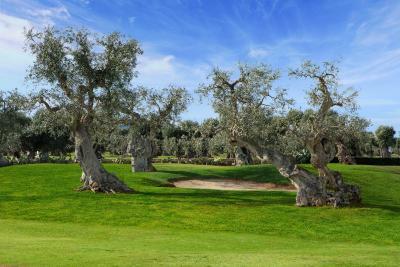 Located in the courtyard, these rooms feature private bathrooms with bathtub and a charming view of olive trees or a relaxing view of the golf course. Here you can find spacious rooms featuring white tuff walls, vaulted ceilings, elegant furnishings and a large spa tub. 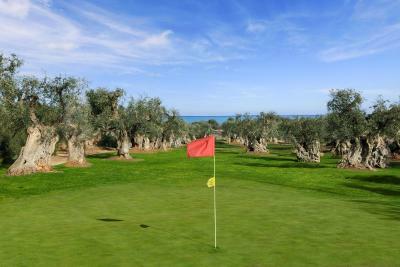 Rooms have a small garden or a small terrace overlooking either the ancient olive trees or a golf course where in the distance you can see the Mediterranean Sea. A large suite featuring an elegant lounge with fireplace, vaulted ceilings, and whitewashed walls. It includes 2 TVs with Sky satellite channels, and a bathroom with large spa tub and double sink. The spacious terrace features a private heated swimming pool and a hot tub. A private garden of 1,080 ft² is also available. House Rules Rocco Forte Masseria Torre Maizza takes special requests – add in the next step! Rocco Forte Masseria Torre Maizza accepts these cards and reserves the right to temporarily hold an amount prior to arrival. Please note that the pool is open from April until October. Wedding took place at the venue on our final night and unfortunately this meant that the pool was out of action in the morning when we wanted Prices of taxis to local town is quite steep considering they are operated by the hotel itself. Better options in terms of value for money probably available. Not very proactive service, could have put on more complementary things like drinks at sunset, honesty bar for all day snacks, complementary set of clubs for golf etc. for the price you pay only the bare minimum is included. Dinner was also way too expensive and local restaurants had better food. Considering everything else being so perfect, the hairdryer was not up to scratch. We ordered food at the bar. It took forever to arrive. The bar staff kept saying 'soon'. It must have taken 40 minutes to arrive. It was very strange as the service was otherwise excellent. The gym is tiny. Not worth it. They obviously made a token effort just to say they have a gym. No complaints, just a pity the hotel is always fully booked.